Born in 1946, Gilles Thomas graduated from the Ecole Polytechnique in 1970 and pursued a highly productive career in biology and medicine. After completing his PhD in biochemistry at University Paris VII, during which time he worked on the tertiary structure of E. Coli tRNAs in the laboratory of François Gros, he obtained a medical degree at the Pitie-Salpetriere University Hospital. Subsequently, he sought postdoctoral training in Norway and the USA. While a post-doctoral fellow, he published his first Nature paper on the structure of the amylase gene family in rat and was also awarded a laureate from the National Academy of Sciences and the National Academy of Medicine. By 1982, he established a vibrant research group at the Institut Curie, focused on the emerging field of cancer genetics. The main research focuses of his lab were on hereditary predisposition to cancer, particularly colon cancer, and on genetic abnormalities of human chromosome 22, projects he developed in strong interaction with Bernard Dutrillaux and Alain Aurias. In this environment, he trained a generation of French cancer geneticists in his laboratory, many of whom have become international leaders in the field, including Olivier Delattre, Pierre Laurent-Puig, Sylviane Olschwang, Annette Schmitz, Jessica Zucman and Anne Vincent-Salomon. He also developed a biology course at the Ecole Polytechnique. Gilles always maintained a strong interest in translating basic observations into clinical practice. Early in the age of genomics, he had the foresight to see the value of molecular pathology. For instance, he created a translational laboratory with Thomas Melot and Martine Peter in which new cancer genetic tests could be applied to more precise classification of cancer subtypes. With Sylviane Olschwang, he established one of the first out-patient clinics dedicated to oncogenetics. By 1992, the Tumor Genetics Laboratory was funded by INSERM as a Research Unit and the Department of Cancer Genetics was created in the hospital of the Institute Curie, in close collaboration with Dominique Stoppa-Lyonnet. This period of time was highly productive. 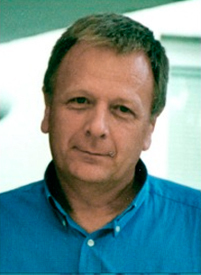 In rapid succession, Gilles published a series of seminal papers in cancer genetics; these included the cloning and characterization of the EWS-FLI1 fusion gene in Ewing sarcoma (Nature 1992), identification of the NF2 gene (Nature 1993) and the identification of specific APC mutations in familial adenomatosis polyposis (Cell 1993). Gilles was innately curious and committed to pursue pressing new questions, even if they shifted his focus elsewhere. While pursuing the investigation of colon cancer, scrutinizing genotype-phenotype correlations and developing animal models, with Richard Hamelin and Marco Giovannini, he investigated other complex disorders, such as the inflammatory bowel diseases. He began to lay the foundation for large-scale genomic analyses, creatively using the tools at hand to uncover new insights into genetic susceptibility. With Jean Pierre Hugot, he mapped and characterized the first susceptibility locus in inflammatory bowel diseases, interestingly observing that rare independent mutations could be identified on a common backbone haplotype of more common variants (Nature 1996 and Nature 2001). These observations paved the way for genome wide association studies to later discover thousands of loci associated with risk for a wide spectrum of complex diseases. In 1996, Gilles became the Scientific Director of the Centre d’Etudes du Polymorphisme Humaine (CEPH) at the Fondation Jean-Dausset. He led this organization during an important time of transition when new technologies were beginning to capitalize on the emerging opportunities of studying the spectrum of genetic variation in human diseases. With his appointment as Professor of Genetics at the Saint-Antoine University Hospital, he continued to publish prolifically, working in a number of international collaborative networks. He retained a strong commitment to clinical oncogenetics, running a laboratory at the cutting edge of the translation from new observations to clinical implementation of genetic testing- of both germline and somatic variation. Between 2005 and 2008, Gilles co-directed the Cancer Genetic Markers and Susceptibility program at the National Cancer Institute, USA. With his colleagues Stephen Chanock, Robert Hoover and David Hunter, they conducted the first large genome-wide association studies of breast and prostate cancer. Gilles meticulously solved a number of critical challenges in the analysis of large data sets, providing insights and tools still used by many worldwide. Gilles returned to a senior position at the Centre Léon Bérard in Lyon where he developed a national platform of sequencing and genotyping data analysis dedicated to whole-genome characterization of tumours in the framework of the International Consortium on the Genomics of Cancer. Here, he developed rigorous criteria for assessing quality control metrics and state-of-the-art informatics analyses of cancer genomics. Over the course of Gilles’ career, he trained a generation of geneticists and cancer genomicists. His rigorous and penetrating intellect influenced all who worked with him. He maintained the highest standards for academic excellence, stimulating his trainees to achieve their highest potential. In fact, many have attained substantial success due to his mentorship and principled approach towards scientific investigation. Although Gilles co-authored close to one thousand original publications, his greatest love was for his family. He was a dedicated father of four children, each of whom has embraced a facet of his rich interests. With comparable commitment and rigor, each is pursuing career goals that reflect his own choices: Laurent, informatics; Celine, genetics; Olivier, teaching; Mathias, still a little young for a definitive choice, but possibly oncology. To those of us who worked with Gilles, we will always value his honest, moral and rigorous approach towards scientific investigation. He was a colleague and a friend to so many. Moreover, he left a deep imprint on the field of genetics and generations to come will build on his solid, scientific foundation.